Style 0444 in new premium color Royal Lilac. 4 1/8 inches wide. 100% Polyester. Made in USA. 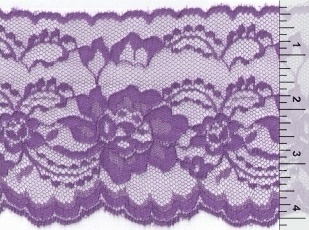 Also available ruffled style R0444 Royal Lilac.